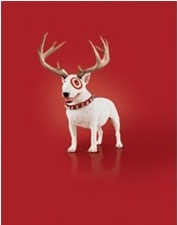 An icon for the 21st century that surpasses the Taco Bell Chihuahua would have to be this horned woofer run up for Target Stores by the Peterson Milla Hooks agency. We're not sure what he's promoting for Target, but we are sure that if he was on the shelves in time for Christmas, he'd run out of the store. The Cooper-Hewitt National Design Museum | is an exceptional online sight featuring numerous flash-enabled tours of current and past exhibitions. Now showing is "The "National Design Triennial: Inside Design Now" showcasing 80 designers and firms who are setting the pace in contemporary design.